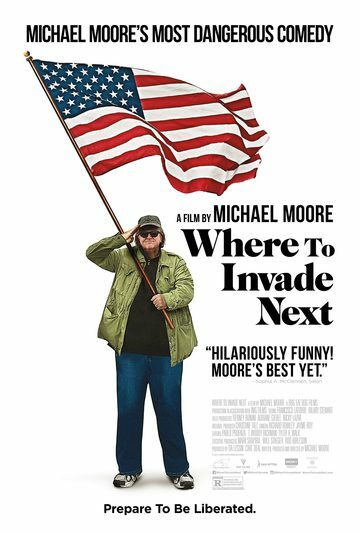 Michael Moore understands the art of provocation. From Roger & Me to Bowling for Columbine to Fahrenheit 9/​​11, he's been ahead of the cultural curve with films that galvanized audiences and escalated box-office records. Now, six years since his last film and with another US election around the corner, he delivers a fresh surprise that feels current yet perfectly timeless. Filming abroad without drawing attention from American media, Moore reunites his A-team, including producers Carl Deal and Tia Lessin (directors of the Oscar-nominated Trouble the Water), and brings us a funny and provocative work that's guaranteed to stir up conversation. The United States' long history of invading countries and pushing agendas has produced results that are, to say the least, mixed. What if the US could do a better job at invading? That's the premise for this film, which sends Moore on an epic journey.